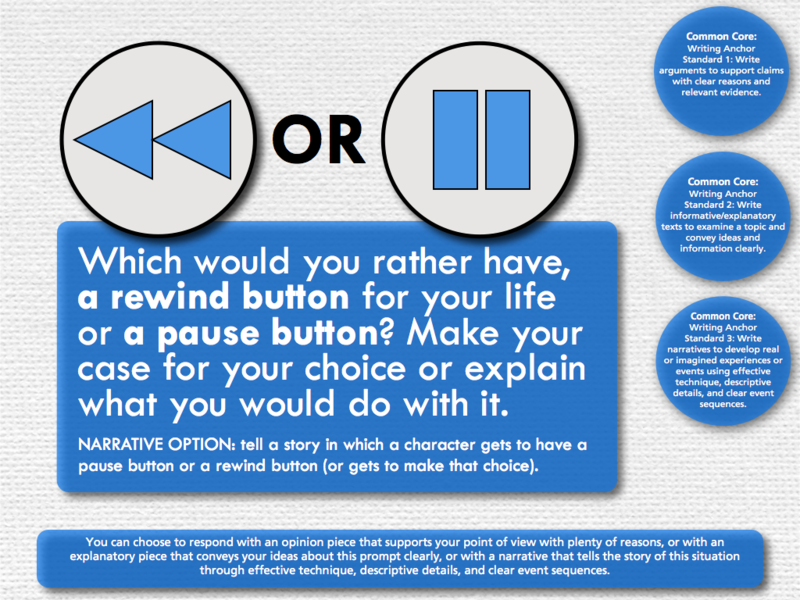 Shelby's Creative Writing Blog: Quick Write Rewind or Pause? If I had to choose between a rewind or pause button I would choose the rewind button because I would definitely love to replay moments in my life whether them being exciting times or even the worst of times. I would re live all my favorite moments so I could experience them again. I would depending on the situation replay the moments I have regretted so I could fix them. Some of my worse moments wouldn't interest me to replay and fix because I wouldn't want to re live them, there over and done with. I think I would lear from my mistakes the first time and be able to fix it or try something new.